I came across the Faces Cosmetics Ultimate Pro Lip Creme by chance while browsing their counter one day and asking the SA “what’s new?”. She swatched a couple of these babies on me and said that they would last all day, how excellent they were, how blah blah blah…you know the customary sales pitch that promises you the moon and stars 😛 Well with a subtle skeptic eye roll I decided to try one out. I picked the shade Fuschia Sparkler. If you follow me on insta then you would have already seen my live swatch video for it 🙂 Hey if you still don’t follow me there then hop on right now coz I have started to do live swatches and you should not miss out on them 😉 (insta – sorellegrapevine). Ok moving from that shameless self promo 😛 The lipstick comes in a gloss tube packing with a flat applicator brush. The body of it is transparent and the name of the shade is given at the bottom. The brush is actually quite big and covers a large area in one go. The color is super pigmented and one swipe is all you need. This has the look and texture of a proper gloss…by that I mean that it is thick minus the stickiness and has quite a glossy finish! It does not sit in your lines nor does it move around when you press your lips together. I did notice feathering on the outer edges of the lip but for me it feathers inwards more ie towards my mouth and it has to be the first ever lipstick I got on my teeth (yes I would wonder how people managed that but now I know :P) This does not happen all the time though. It does not last an eating session but it does stain the lips and does not leave it completely bare. You are left with soft rose tinted lips which look quite pretty. Overall I quite like it especially cause of how it looks on. Plus it does stay on (technically) for a long time since it ends up staining your lips and you need a remover to get it off completely. If you dont usually like wearing gloss coz of the issues I stated earlier you could try this on for size coz it is not sticky at all. Just apply it with a light hand and you will be good to go. I think this is great for occasions where you want to stand out and catch someone’s eye. Im not sure how much I paid for it but I think it is tagged around Rs. 649/- for 4.6 ml of product. 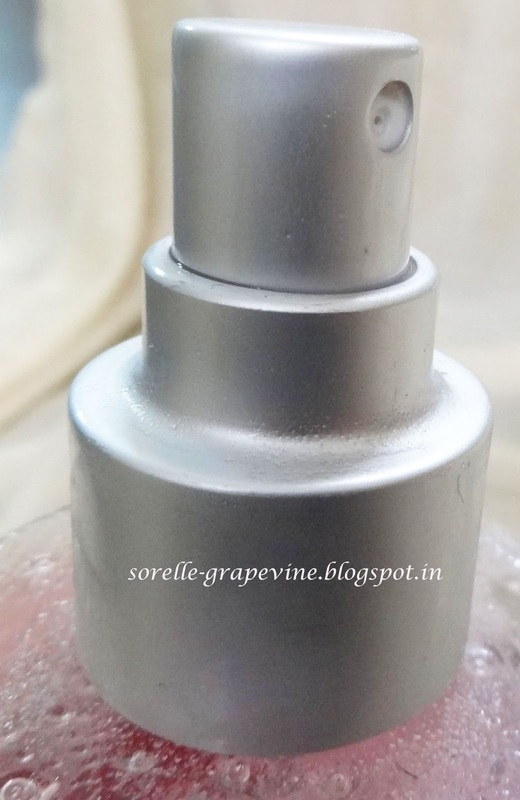 Reviewing a makeup product after a long time so feeling rusty around the edges 😀 Do let me know what you think about it…have you tried it or are interested in trying it…I will see you around. Ta ta! Another find from the trip to the Faces store. 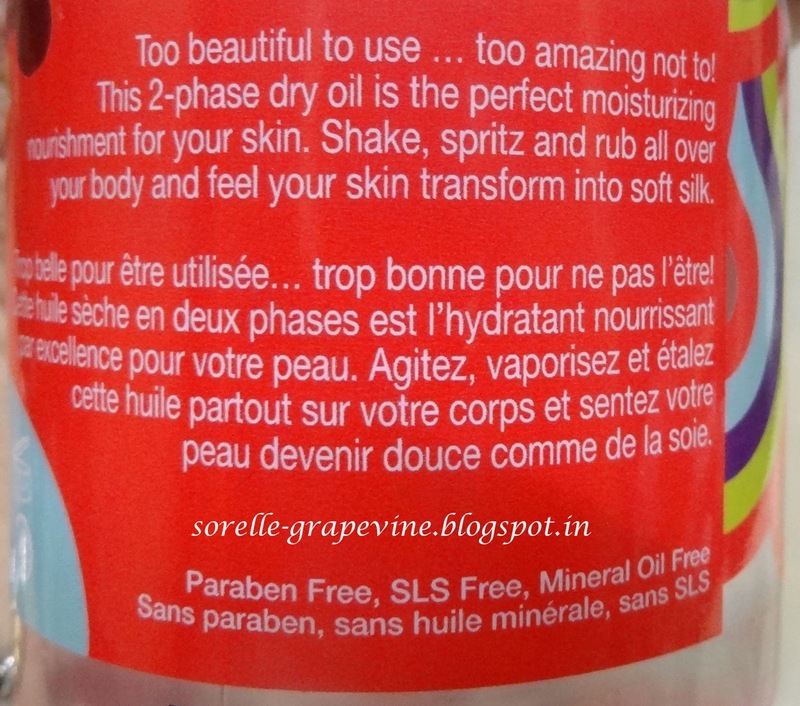 Like the Dry body Oil reviewed before (which you can read about HERE) this too has been made by Upper Canada Soap and is marketed in India by Faces. I picked this up as it mentions that it helps to relieve tired feet and lets face it after a long days work our poor tortured feet could always use some TLC. Sometimes they make you wish that you had your own personal masseuse on your beck and call to give them the relaxing massage that they end up screaming for. Wont it be nifty if something like a spray could do that for you? 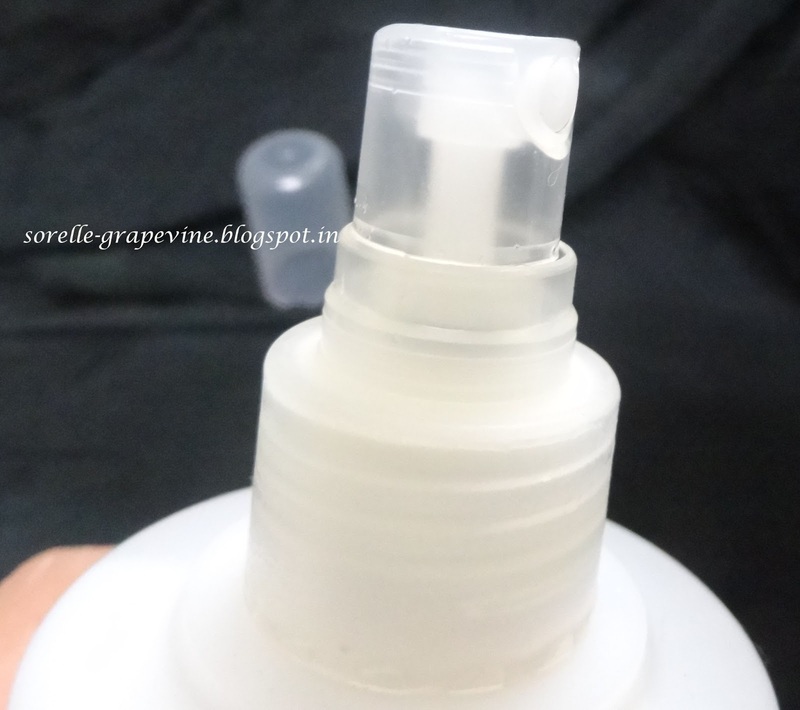 It comes in a translucent white plastic bottle which is about 5 inches in height and has a spray dispenser. 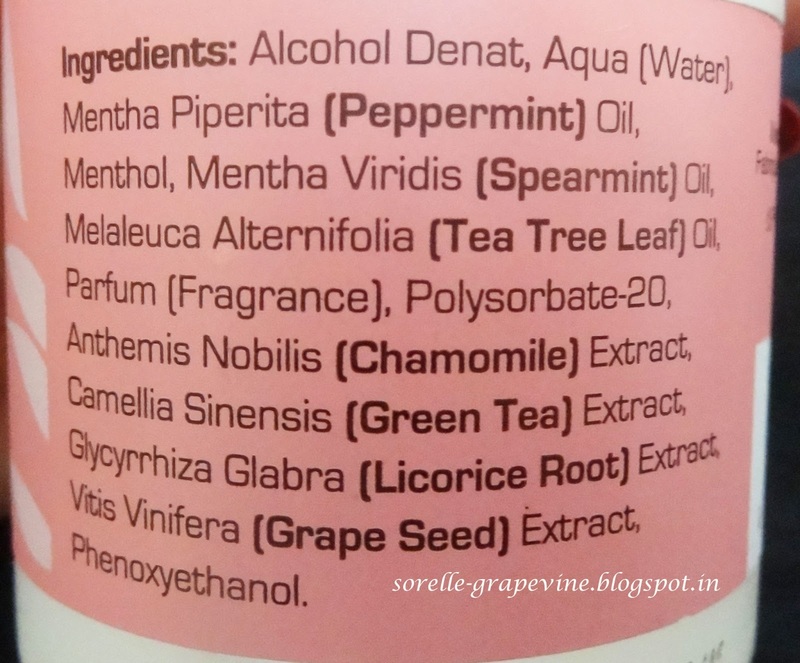 The bottle is a little heavy more so due to the quantity of the product contained in it. Strong minty smell to it since that is what it is made of primarily. The product is light colorless liquid almost like water and sprays on quite finely like a mist on your feet with the help of the dispenser. 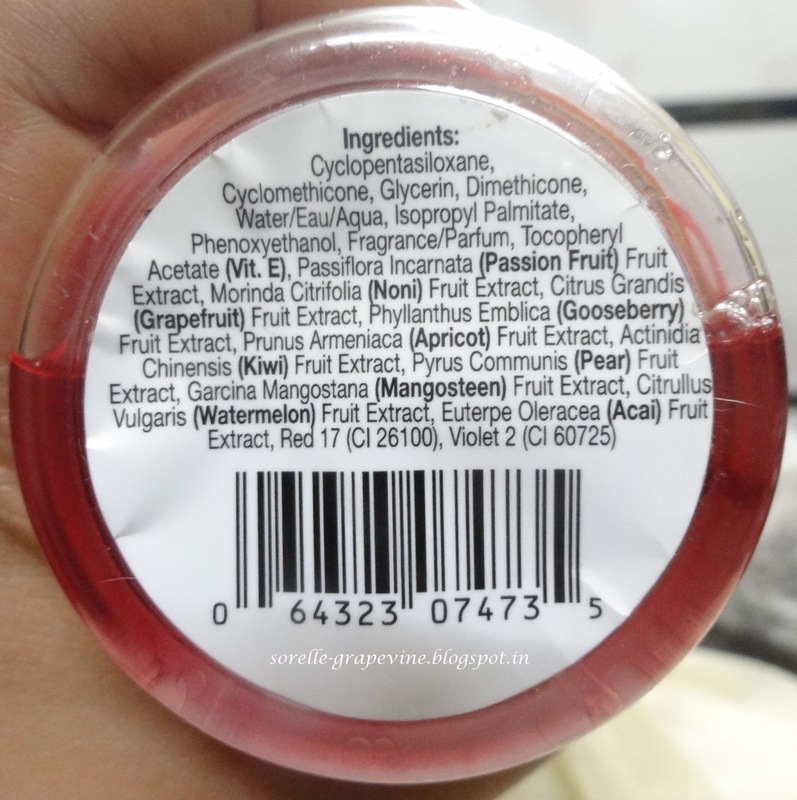 It feels quite cool when you spray it on and you are hit with the blast of the mint fragrance. The cooling sensation lasts for under 5 mins and does feel some what refreshing but it does not help to lighten the tiredness of your feet at all. 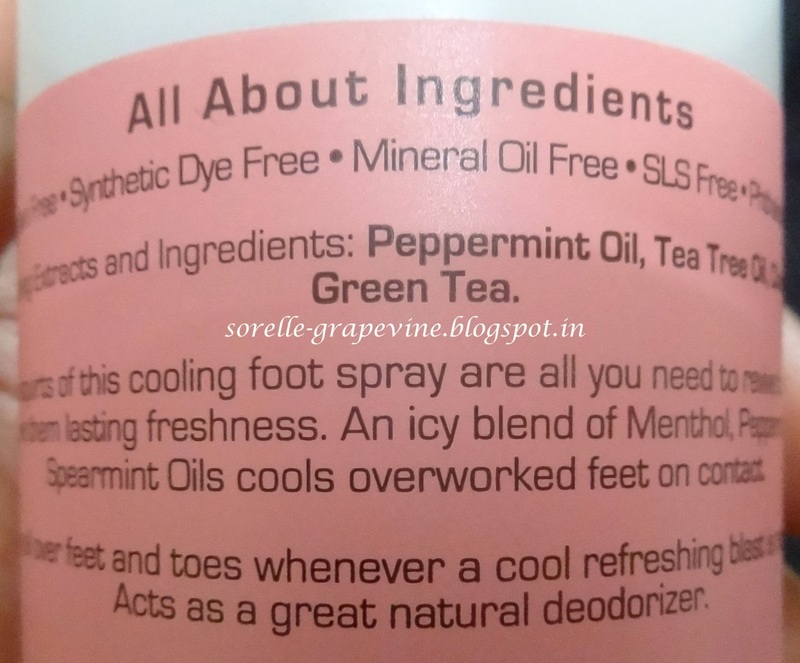 For people who suffer due to sweating and smelly feet in the summers this could a good product for them. 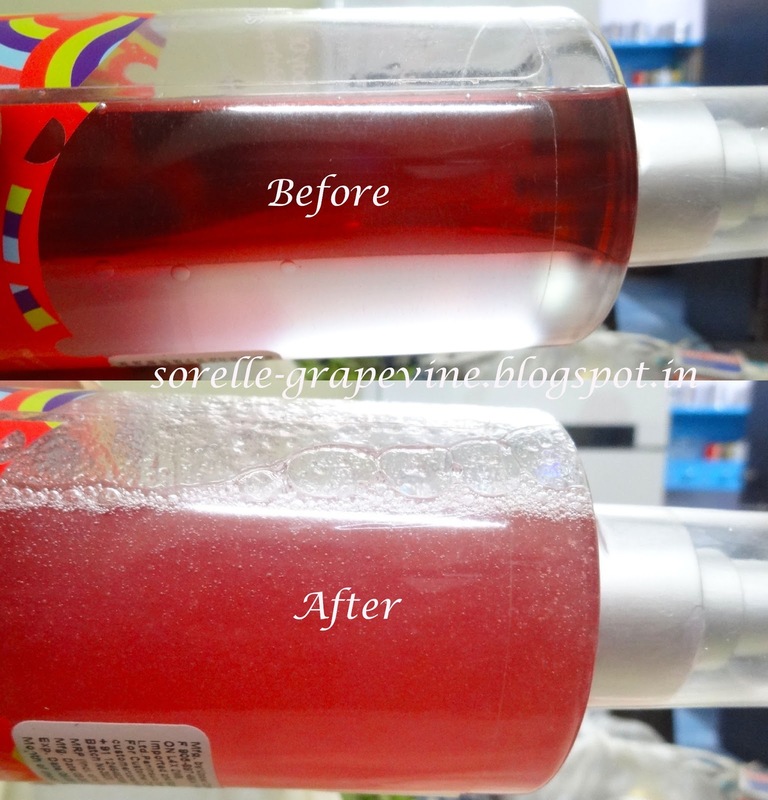 In such cases I would recommend that you transfer the contents into a smaller spray bottle and use it to refresh yourself as and when needed. Honestly it does not do anything apart from acting like a foot deodorizer. Price is Rs. 649/- for 300 ml of product. 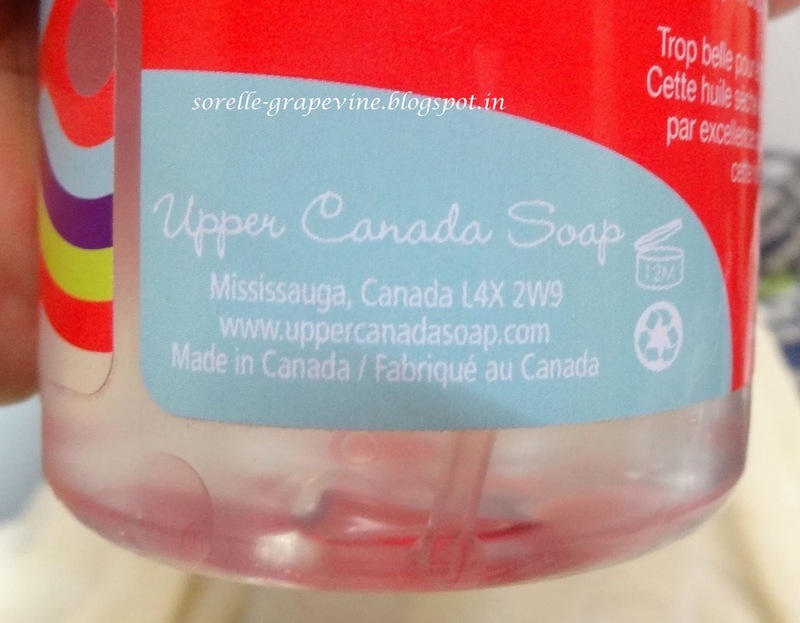 It is supposed to be free of paraben, synthetic dye, mineral oil, SLS and phthalate. Another review down. Hope you all found it of some use. Would you be interested in picking something like this up? I personally would have liked it to relieve some soreness and the deo part would have been a big plus especially in the summers. I don’t think the price tag is worth it since it is a deo only. Well like they say you have to kiss a couple of frogs to find your prince 😉 you have to go through a couple of duds to find THE ONE. The quest continues – see you on the journey…..Bye! Would you purchase Faces All About Feet Revitalizing Foot Spray again? – No I would not for the current price tag. Would you recommend Faces All About Feet Revitalizing Foot Spray to your friend? – No. This is another gem that I found while browsing the Faces store in Infinity, Malad. I was searching for a good face buffing brush and had asked for it in a few stores before I chanced upon this one. The big fluffy brush on display caught my complete attention. Made from goat hair this brush has a wooden handle with gold detailing. The SA said that this was from their premier range. I really liked how soft it felt on my skin and the poufy just sold it to me. But before buying it I actually tried out the one on displaying by dabbing some powder product on the back on my hand. After my experience with Body Shop brushes lets just say that I’m a little vary when it comes to brushes now. 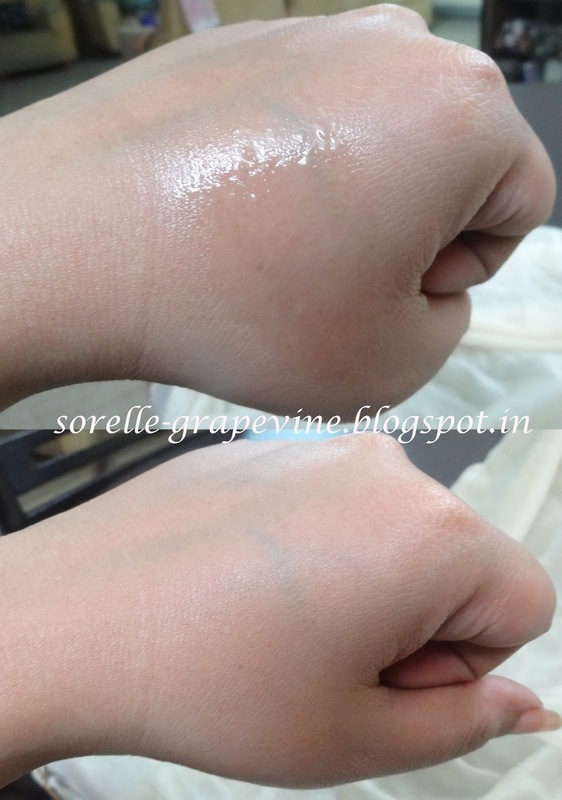 Just a little dab onto the product and a gentle swipe on my skin transferred the product beautifully on my skin and I did not hesitate to pick it up. This is tagged at a price of Rs. 599/- which I felt was very decent especially given the quality of the thing. I have used this every single day in Mumbai as part of my makeup routine. I found it best when used with powder products ie I use this brush to pick up the powder and then deposit it on to my skin. It works for liquid as well but has a slight edge with powder based (atleast I felt so – I could be off my walker for saying it but that was my observation). What I did with it was that I applied my foundation with a stippling brush and then I used this in a rolling motion over my face to buff out the foundation and give a more flawless look. After my concealer, I took some transparent powder with the help of this brush and dabbed it on my skin. Once I covered my entire face with the powder I then buffed that out as well with this brush. A really good find for me as I was searching high and low for something like this. It fit the picture I had in my mind perfectly. My only iffy-ness with it is that my piece was not as poufy as the one in the store 🙁 Though it has become wider with use and I hope it will become like the one I saw but I’m still a little tiffed (humph). Well that’s that for now. Hope you liked the review and were able to find a good addition to your brush collection. Do let me know if you intend to pick this one up or if you have already tried it. Until next time – Ciao! 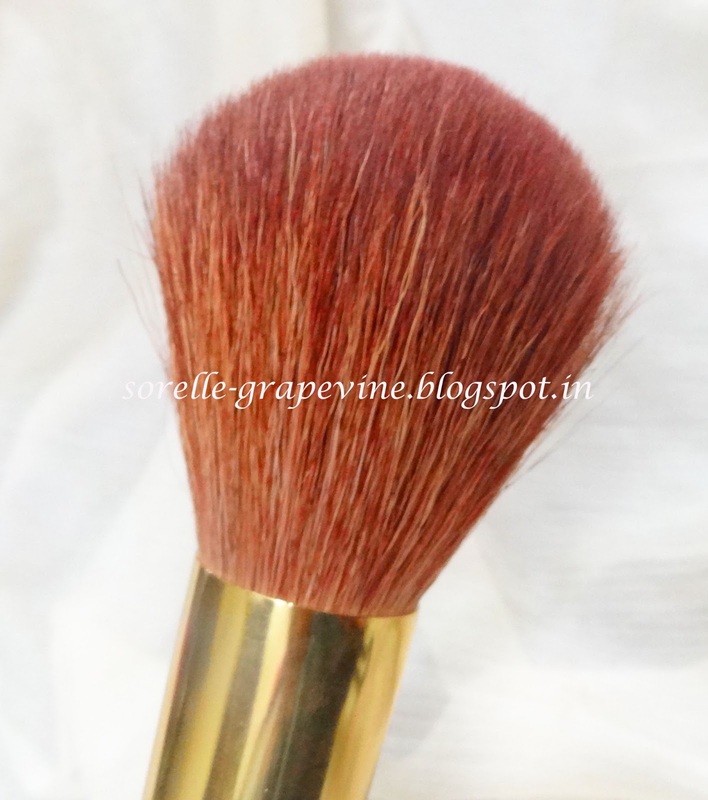 Would you purchase Faces Bronzing Brush #11 again? – Yes I would unless I find something that works better. Would you recommend Faces Bronzing Brush #11 to your friend? – Yes!